Having a Brampton sump pump means as a homeowner you are taking the necessary safeguard against having to deal with catastrophic flooding and water damage which is very costly both financially and emotionally. Do not take the risk of having your sump pump not function when there is a storm, or excessive drainage during the spring snow melt, or when there is a higher water table than is the norm. Have peace of mind knowing that your home is going to be kept dry and safe. Allow to service your sump pump Brampton 24/7. Our local emergency plumbers are known for our quick response times and we arrive completely prepared for anything with all of the plumbing technology, top brand name materials, industrial quality parts, and professional tools so we can get your Brampton sump pump repaired, installed, or maintained correctly the first time we visit with a long term solution that you will be very pleased with. Our plumber can provide you with a flat-rate, affordable price given to you upfront and exact so you can rest assured that we will stay until the job is done. We will clean up when we are finished and ask kindly for your review to make sure our high standards are being upheld. Any new Brampton sump pumps are installed by our local plumbers with the utmost care to ensure your home will be kept safe from the harsh wet weather elements. 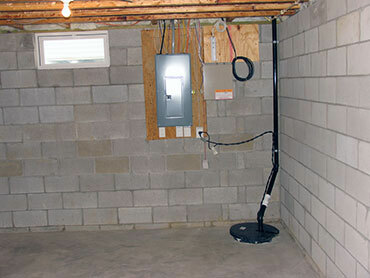 It begins with a sump pit dug in your basement to securely hold the pump in its place. Our local plumbing expert will check that the pump itself is the right size as well as to whether the discharge line is the correct diameter or if you need a grated discharge line. We will ensure not to install the pump in dirt or gravel. We will make sure all of the parts are in top shape such as the float switch and float arm. And we will also make certain that we make sure to prevent the sump pump from an electrical power outage and is protected from power surges too. 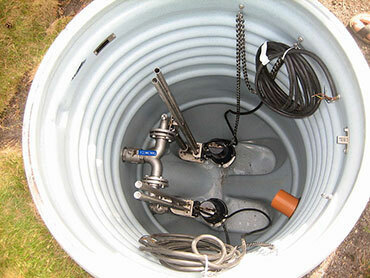 Our local plumber will check on all of Brampton sump pump parts to make sure they are functional and clean. This includes a detailed inspection and cleaning or replacement of your pump, basin, check valve, impeller, float switch, float arm, and discharge. As well as any air holes and vents. It is crucial that there is no debris like dirt, sand, or gravel blocking the parts. If so, the pump would potentially overheat from working harder than necessary. And a blocked discharge pipe or check valve could make your unit overflow or drain slowly. Maintain your sump pump Brampton. Your Brampton sump pump is a tireless worker which needs no supervision or manual work. It is often taken for granted because it remains in a hole in the basement and is not noticed until there is inclement weather. Yet, there must be proper maintenance to your sump pump and it's parts or you risk having a disaster on your hands and this should be avoided at all costs. Gain the peace of mind knowing that your sump pump is going to have you covered when there is a risk of flooding in your area. It's simple to do, just give our local plumbers a call and we will be pleased to provide your professional workmanship and friendly service 24/7.